Although the economy is nowhere near a recession today, there could be one soon in the next few years because this economic expansion is already so stretched. That said, here are several ways to invest when it’s late into the bull market cycle. Remember first that you don’t always have to be fully invested. Many long-term investors believe that Warren Buffett remains invested in stocks throughout a bear market. Nothing could be further from the truth. Buffett raises cash and shrinks his position sizes when he thinks that valuations are expensive. He does this because he doesn’t see a lot of good investment opportunities during the late stage of a bull market. Buffett invests heavily when he thinks that valuations are cheap and opportunities are plentiful. Blindly holding onto stocks throughout a recession can lead to your portfolio being underwater for more than half a decade. So remember: if there are no good investment opportunities, stay in cash. Don’t force yourself to take investment opportunities when there are few good ones available. A bear market might be two to three years in the future. A bear market is not imminent either. The current bull market still has one to two years left. This means that it’s not a good time to invest in long-term Treasury bonds yet. Interest rates are extremely low right now, and with the Fed on track to hike rates another two times in 2018, interest rates will rise throughout this year. That means bond market investors will probably lose money over the next year. Investing in long-term bonds will become a good idea when the next bear market begins. Rates don’t usually rise during bear markets because central banks are lowering interest rates, unless there is hyperinflation. Historically, inflation always rises during the last legs of an economic expansion — and that’s what we’re in right now. Investing in the stock market to protect yourself from inflation in the short run is not a good idea because it can be very volatile. The simplest way to protect yourself from inflation is to buy Treasury Inflation Protected Securities: Their value rises and falls with inflation, effectively giving you protection from rising inflation. Growth stocks s (like Facebook, Amazon, Netflix, and Google) fall faster than average during bear markets. Growth stock rise faster than average during bull markets. Dividend stocks are exactly the opposite; they tend to be slow-moving companies with low volatility (for instance, utilities). In a bear market, they typically fall less than the rest of the market. Plus you also get dividend yield even during the bear market — but keep in mind that dividends tend to get reduced during bear markets. 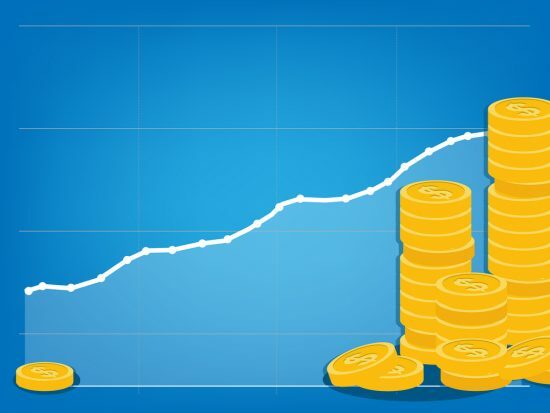 If you own all stocks right now, you might consider moving entirely to cash when you think the next bear market is just around the corner — then either stay entirely in cash or shift to short-term Treasury bonds. The Fed tends to lower interest rates during bear markets, which means that short-term bondholders may be rewarded. Troy Bombardia is a professional trader who shares his thoughts on the markets at Bull Markets. If you would like to try your hand at blogging, we have good news for you; you can do exactly that on Saving Advice. Just click here to get started. Volatile Market, Correction, Flash Crash — What the Hell Is Going On? So Isn’t the Stock Market Going to Crash? What Is CPI and Why Should You Care? Why Are Investors Worried About Inflation? Over the past month we’ve had a series of economic announcements signaling that inflation is speeding up and the markets have gone down following each of them. Why? These pronouncements suggest inflation is accelerating toward a potentially unhealthy level, where the dollar loses value, and the markets become more turbulent. This week, the market headed south just on expectations of interest rate language in the Fed’s meeting minutes from January — and then there turned out not to be anything specific about it in the release. The market also had a down day last week following the release of the consumer price index, which indicated surging inflation both the month of January and the year. it jumped 0.5% last month, surpassing economists’ forecasts for a 0.3% increase. This news followed a report earlier in the month of another inflation indicator: the largest wage gain in over eight years. While that is good news for consumers, the markets get skittish, fearing the Fed will raise interest rates. The fear is there all right: Some estimates say there could be three interest rate hikes by the end of the year, and that expectation is being priced into stock and bond transactions. So far, the downward trading in response to the inflation news has been short lived: Investors have taken advantage of opportunities to buy stocks at lower prices following the dips. This appears to be the beginning of a pattern in volatility that some analysts say might continue until the end of the year — or at least until the uncertainty is resolved. In this case, the uncertainty surrounds what the Fed will do in response to the heightened inflation. When will the next interest rate increase occur, and will the economy cool off as a result? Readers, what concerns do you have about inflation? How are you seeing it play out in your daily finances? When do you think the next interest rate hike should happen? There are multiple types of asset classes, each with its own rules, risks, and types of investors. Before you invest, here are some characteristics of three asset classes and their ideal investors. Stocks are a growth investment, which means they seek to increase your money over time. You can either invest directly in a stock, or invest in a mutual fund that owns stock. When you invest in mutual funds that own stock, your mutual fund actually buys part ownership in the companies it invests in. Stock also relies heavily on the company. If you buy a stock in a company that ends up doing well, the share price could increase. This would lead to a profit on your part if you chose to redeem your shares then. Conversely, if the company does not do well, or even if the stock market suffers, the price of the stock can drop. In this way, stocks tend to fluctuate often. Although stocks have a high investment risk, historically they have provided the highest returns across time. It is essential to remember, however, that past performance is no guarantee of future results. Stocks are a good option for investors in it for the long run. This means stock investors should intend on not needing their money for roughly seven years or more. Stock investors must also be comfortable with the inherent investment risk of stocks. Bonds are an income investment. Income investments provide a steady stream of income paid out on a schedule. You can buy bonds individually, or invest in a mutual fund that buys bonds. When you invest in mutual funds that buy bonds, your mutual fund lends money to the companies or governments that issue said bonds. The issuers promise to repay the fund’s loan with interest. Bonds fluctuate as well, usually in reaction to interest rates. If interest rates decrease, the market value of an issued bond increases. If interest rates increase, the market value of an issued bond decreases. Since the risk of fluctuation has more to do with interest rates, the risk on bonds is average. Since the return on investment acts like income, the potential return of bonds is also average. Bonds are a good option for investors willing to accept moderate risk. They are also best for investors who may not need their money for three to seven years. Short-term investments do not add to your wealth, but rather act to preserve the money you already have. When you buy short-term investments, such as money market funds, certificates of deposit (CDs), and Treasury bills, you are lending money to the issuers for a short period of time, usually less than a year. Unlike bonds and stocks, short-term investments are usually stable. They also tend to provide a steady rate of return. Because of this, they have a low investment risk. However, they also provide lower returns than stocks or bonds over time. Should you make a short-term investment? Short-term investments are a good option for conservative investors who may not need their money for one to three years. They are also for investors who are willing to accept the risk of not keeping up with inflation, or else to balance a more aggressive portfolio. With such varied asset classes, it can be difficult to choose which one is right for you. Focus on the length of your investment and what you are willing to risk, and you are sure to find the best asset class for you. A person that considers trading online, whether it’s with stocks or bonds or even into commodities, realizes that there is quite a learning curve that they must go through. It is difficult to assess what needs to be done, and then find a way to get the funding that you will need to start making your trades. Instead of spending your money right away, if you really want to be successful, it’s important to practice without using any of your own existing capital. Here is how you can start successfully trading online using these proven strategies that can help people get started in the right way. 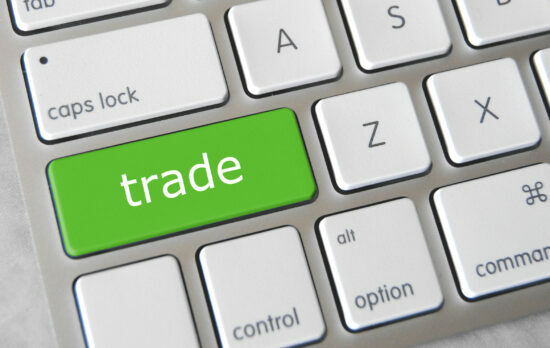 Where Should You Begin With Trading Online? If you want to start with trading online where most people have the most luck, it is definitely a good idea to start with the Forex market place. This is where about 5 trillion dollars are traded every single day. You can tap into this amount, and as long as you understand how to make the trades, and also know which direction the market is going in using proven algorithms, you can start to make quite a bit of money doing day-trading. It is recommended that you start an account where you can begin to trade on your own without the use of any money at all. You can take advantage of all of the software programs that the company will have, and when you are ready, you can use one of their brokers to start making actual cash flow. There are several things that you need to be careful about such as doing at least a few weeks of practice trading before you begin. Instead of just using what is available on the website where you have set up your test account, you should invest in some type of investment program. You can see what others have done in the past, how successful they were, and what strategies actually work the best. The more current version of this training, the more likely it is that it will still work today, helping you to become successful trading not only for X, but any other type of stocks or commodities online. There are different programs out there for each venue, making sure that you will have all of the latest information on how to become a successful trader. It is just easier to work with day-trading platforms, such as Forex, because of the high success rates associated with this particular form of online trading. Your ability to succeed will only be limited by the amount of time that you spend preparing for using actual currency to trade. You simply have to choose the best combination of currencies, and decide which way the market is going to go, before controlling them. As long as you are able to choose the right direction, and do so consistently, you should have a very profitable way of investing your money. This has happened for thousands of people, and it can happen for you, once you start to do trading online. What Are Alternatives to Money Market Accounts? People with money market accounts (MMA) have probably realized the time has come for them to find an alternative for saving (or investing) money. MMAs have offered investors a low-risk account to have same-as-cash investments. These types of accounts have been considered a go-to for decades. However, the time for an MMA may have come and gone. Interest rates on MMAs have been just barely above zero for years Many people leave their money in the account as a type of savings alternative. However, this approach could hurt you in the long run. Money market accounts have lost their value, but have no fear. There are still plenty of alternatives for the MMA. Instead of opening an MMA, just open a savings account. This seems like an “old” idea. Of course, savings accounts aren’t as exciting as investing your money, but a savings accounts may have a higher interest rate, especially if you don’t touch the money for a period of time. Savings accounts are likely much more accessible as well. Many banks have savings accounts available to their customers. Check to see if your bank offers one. If you’d like to open a separate savings account with another institution, there are many high-yield savings accounts throughout many different banks. Savings accounts, unlike MMAs, are also FDIC-insured. Bank MMAs and money market mutual funds may look the same on the outside, but there is one key ingredient that makes them fundamentally different. The traditional MMA and a bank MMA may have similar interest rates. They may even own the same types of assets. However, a bank MMA will likely be FDIC-insured up to $250,000. Obviously, only invest money within a strong financial institution, but when choosing between a mutual fund and a bank MMA, choose the bank’s option. It will provide you piece-of-mind with your investment. If you don’t need daily access to the money you’d like to place in an MMA, but may need access to it a couple times a month (at most), then a short-term bond fund may be the perfect alternative to an MMA for you. The only thing to look out for with short-term bond fund is the potential fees you may acquire if you take from the fund too often. Sometimes if the funds are held for any less than 120 days, you can meet a 1 to 2 percent fee. Exchange Traded Funds (ETFs) can be the perfect alternative for any MMA. Although these often hold a little bit of a higher risk, ETFs can create a much higher yield than an MMA. 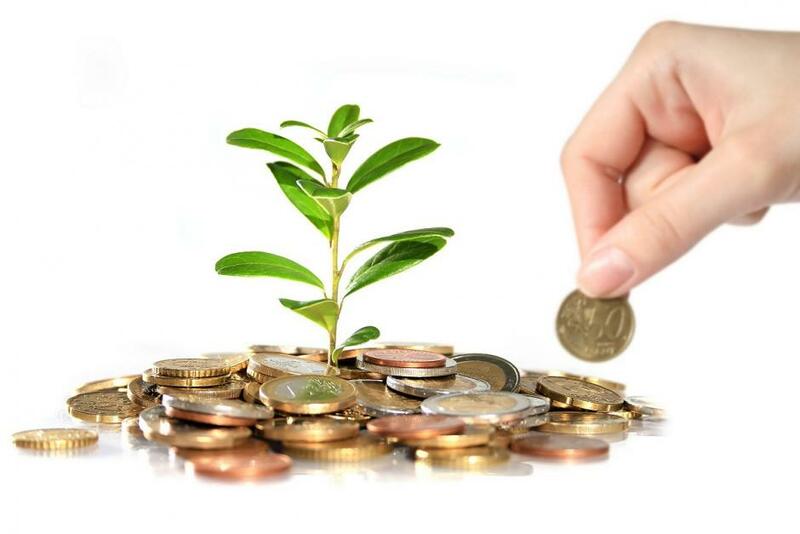 You can open a Short Term Maturity ETF and gain access to your money whenever you would like. There are some ETFs that can be traded through apps or online trading companies where the company practically does the work for you (you just put the money in). There are also some more hands-on opportunities. If you have an MMA and have been looking to take your money and put it elsewhere, there are plenty of alternatives. With interest rates for MMAs so low, changing the way you invest your money may be a smart move. As economic systems advance and evolve, so too does their system of currency. From the earliest days of our ancestors, the exchange of physical goods used for survival has been a staple of human communication and the assignation of social standing. As humanity has become more sophisticated in communication and innovation, the necessity for direct trade of physical goods has been joined by a necessity for the trade of intangible goods and, importantly, intangible currencies. However, the move towards intangible trade through the development of increasingly immaterial currencies does carry dangers. The fact that we’re moving away from tangible currencies has many advantages as well as many drawbacks. While it fosters economic globalization, it also means that concerns of security are rapidly changing, more rapidly than the average person can keep up with. The trade of goods is the purpose of any system of currency. It all stems from the desire to exchange one good, perhaps one that is in surplus, for one that you don’t have yet. The barter system is the purest form of exchange because there’s nothing representative about it and there’s no immediate notion of “saving.” You acquire what you need by conducting a physical exchange of goods. The assignation of worth is immediate and direct. Barter of some form has been in action for tens of thousands of years, predating currency. A system of pure barter has given rise to currency because not all trades are equal. To deal with this, currency is designed to be divisible, making it flexible. It also allows goods to be acquired without having an immediate product to trade. Mathematics was developed to help our early predecessors identify people, specify dimensions in space, keep track of time, and inventory goods. Eventually, the concept was also applied to the more complex situations of exchange with numbers representing the goods in question. Placeholders took the concept of representation a step further into the realm of the intangible. These were objects that would stand in for objects of actual worth in barter so that exchanges could be made without the physical goods present. In essence, a group of people would agree to transfer the idea of worth from a group of objects onto another, objectively less valuable object. This object is what we understand to be money. The exchange of money as opposed to physical goods allowed more opportunities for trades to occur. Shells were commonly used as money throughout much of history in many cultures around the world. Coins came into use as a way to standardize worth when dealing with money. The first appearance of coins was either in Aegina in Greece or Ephesus in what is now Turkey. The inherent worth of many early coins was negligible, often made from clay. This fact made it harder to hold people accountable for cases of fraud. We might imagine that their introduction to society must have seemed strange to have a small token stand in for valuable goods seems suspiciously detached from the physical goods. But in modern terms, coins are considered remarkably tangible. Coins are still circulated in almost every corner of the Earth, but the increasing amount of digital transactions makes coinage less universally useful. The elimination of the Canadian penny, for example, indicates that coins are losing favor. This is partly due to the inconvenient bulk of carrying around a large number of pennies (particularly in times of inflation when they’re worth less) as much as it is a revenue-saving measure by the Canadian government. This is a fascinating incident because the value of a penny is not going away, but its placeholder is. This makes the value of the penny not only more intangible than before, but also less definite as they implement a system of rounding to the nearest one cent value. Coins can be carried and accessed at any time, but if you’re worried about security, they are also susceptible to theft. Most people store coins in their wallet or purse, occasionally digging them out for exact change, but more often storing them in jars to trade for cash. The exchange of precious metals, particularly gold, has been a form of currency for millennia. They’ve been highly valued and sought after primarily because they’re recognized as rare and desirable. Precious metals have therefore been conflated with the concept of wealth and extravagance, as they’re generally possessed by wealthy families and often used as highly visible adornments. While their estimated monetary worth is named as varying, this has more to do with the availability of the metals on the market and the value of currency than it does with the worth of the metals, themselves. Precious metals are also unique in that they, unlike most currency, are actually limited in reality instead of limited by an authority. A visualization that is often used is that a block of the world’s discovered gold would fit underneath the Eiffel Tower. Gold, Silver, Platinum, and Palladium are the leading precious metals that are used in trade – they are difficult to counterfeit and there is always a demand for them. One of the reasons for the change to precious metal bars and coins was to ensure that a substance of inherent value was traded. Another reason was for authorities to control the flow of currency into the system and avoid fraud by regulating what coins looked like and were worth. This way, fewer people would be able to pass off counterfeit currency without any intention of honoring its supposed worth – this became a larger problem as groups of people grew in to larger towns and cities where it would be harder to hold individuals accountable for dishonesty. Bullion is popular among investors because it is firmly tangible in a world that runs off of debt and credit. The prices of bullion metals fluctuate with the market as most commodities do, but they are secure in that they are scarce. Bullion adds an extra layer of value in the way the metals are graded and presented, with some bars being more valuable by merit of where they came from. Gold and silver IRAs represent a large portion of bullion (and precious metal) investing. As the global economy expanded and more people became involved in the exchange of goods and currency, it became unsupportable to expect everyone to have the ability to possess an amount of precious metals equal to the physical goods they sold. Initially, some societies exchanged pieces of leather before graduating to the use of paper money. The “gold standard” is the idea that the amount of (objectively worthless) paper currency in circulation could not exceed the amount of actual, physical worth available in the form of gold. The concept is that there is substance behind every dollar printed. This standard has since been abandoned in order to accommodate the huge demand for currency. Fiat currencies are those that are not backed by physical worth, but rather by the word or trustworthiness of the issuing authority, usually a government. When the US dropped the Gold Standard during the Nixon administration, the US dollar became Fiat currency. This is a hot-button debate among investors and economists alike as many see this as an ill-advised removal from the realm of the physical. The argument against Fiat money usually hits on the idea that Fiat money isn’t inherently worth anything. The idea behind currency in its simplest form is that the unit of money has a set amount of physical good (often gold) that it can be traded for. Fiat money has no such guarantee of worth, allowing each individual unit of currency to experience shift in value. Further removed from the sphere of physical good exchanges is the advent of credit. Credit is a representation of a representation, if you will. It is a system that acknowledges the complexity of a large economy, functioning off of where we expect money to be in the future as opposed to where it is now. In lieu of actual currency, credit functions as a network of tracking the movement of currency through an individual’s hands. Credit is actually one of the more stable forms of exchange in that it isn’t a set unit that may be stolen. It is essentially the promise of future reimbursement and a record of how well the person involved has kept those promises. It is possible, however, to steal someone’s good credit via identity theft. In this way, the theft of this particular form of trade requires far more than the transfer of units. It requires the theft of a person’s history and good name. The stock market, by nature, does not have a physical form. It is representative of large scale trade, but does not always represent physical goods. There are stocks traded representing ownership or stake in coffee and other goods, but also stocks traded representing ownership or stake in commodities such as investment in a telecommunication company. Bonds, by comparison, are essentially loans sold to the government in order to be exchanged again in the future for a higher amount. The fact that the bonds are paper situates it in the territory of physical worth that stocks do not possess. Stocks represent a volatile system of exchange that is fickle and often unpredictable. Fortunes can be made in stocks, but they can also be easily lost. This storied history of currency leads us to the latest removal from the exchange of physical goods. 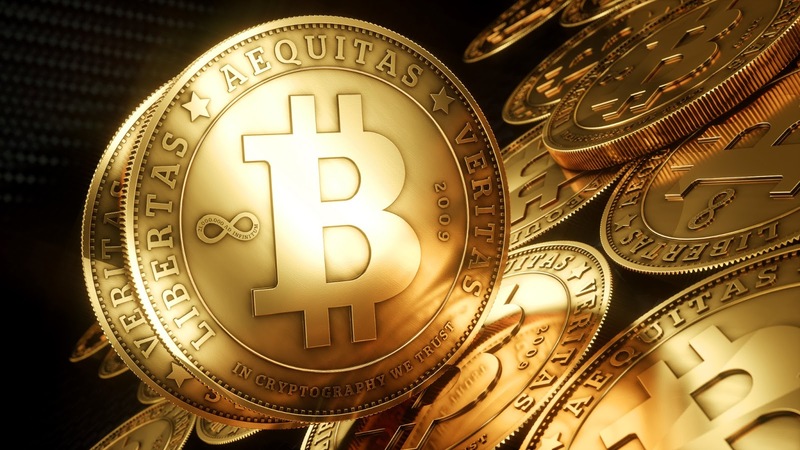 Bitcoin, introduced in 2009, has since been classified as a form of cryptocurrency. This (completely intangible) digital currency was essentially conjured from the ether by an unknown person or group of people under the pseudonym “Satoshi Nakamoto.” The ephemeral and mysterious nature of its creators is echoed in its popularity and use. The rise of multiple cryptocurrencies since Bitcoin represents a precipitous move towards trade that has not only a lack of physical representation but also a lack of strong regulation. The appeal of most cryptocurrencies is that their use removes the need to use banks and other such institutions to use money. This removes regulation, yes, but it also removes fees for moving and using money. As with most other forms of currency, Bitcoins and other such units are only as powerful as the places that accept them. But, unlike many other forms of currency, it is on an accelerated track of boom and bust wherein its value can crash just as quickly as it can rise. The rise of Bitcoin theft, including a massive heist from the exchange site Mt. Gox, has added a looming threat of security over the currency’s reputation, which may or may not be resolved before its trading hubs are drained of resources. In a world of such interconnectivity, it’s getting easier to forget how far apart we are, physically from one another. But if the thread of connection is cut between opposite sides of the globe and the data that holds our modern financial records is lost, for example via a massive EMP, how would we be able to continue to function as an economic system? For the purposes of saving, some choose to think in terms of the now by having very few liquid assets. This mindset means a diversified portfolio of intangible resources and a trust in the system to continue to function fairly. Others choose to keep one foot in the domain of the material by staking a claim on historically valuable physical goods. In the event of catastrophe or systemic failure, these people believe that possession of goods will be the safest way to secure their future. Bullion investments are generally regarded as safe due to their persistent value, even back thousands of years. Arguably the largest and oldest challenge for currency of any kind has been preventing counterfeiting. Since the acceptance of standardized money, there have been those that have tried to fabricate currency. Counterfeit currency has the potential to unbalance economic systems by causing inflation and the dissolution of trust in authority and currency. As technology has progressed, counterfeiting and security have become more synonymous as currencies are more attached to the name of the user. The digital age of currency brings with it a new set of problems. Not only are there the traditional issues of counterfeiting and theft, but there’s the additional complicating factor that thieves can operate from anywhere on the planet. Highly skilled hackers can not only steal identities and enact credit fraud, but also steal from digital wallets. Where a man could, in theory, protect his physical currencies without any specialized training to some effect, the skills required to guard cryptocurrencies are obtained through specialized tech training over years. Such training is not available to a large number of people and, therefore, the security of assets must be handed over to outside sources. Faith in the people we assign to protect our assets is one of the only defenses we have; luckily, the efforts of these people have to large extent been effective. In many regards, the advancement of currency to intangible forms has been a natural progression because it is becoming easier to quantify goods with increasing accuracy. However, the fact that intangible currency is more ephemeral and easy to counterfeit means that security is becoming a larger issue for people in every tax bracket. For personal finances, it’s important to recognize that any investment carries inherent risk. The nature of the beast is that there will be gains and losses that aren’t necessarily foreseeable. But the accelerated world of non-tangible (namely digital) commerce, despite being by and large secure, is harder to keep up with and backed by more nebulous collateral than our ancestors would recognize. To be on the cutting edge of finance, and often to make the most profit, one must be willing to take large risks on new technologies and paradigms. Ride the wave or wait for confirmation of success, the age of Bitcoin is upon us. But don’t lose sight of what is actual and real and innately valuable- these are the things that will retain their worth even as history marches on. David Parkman is a financial writer and student of economic history. He writes with American Bullion, experts in precious metals investing.